Burlington, Vermont, the “Queen of Lake Champlain”, is located on the eastern shores of Lake Champlain in the northern part of the state. It is the largest city in Vermont, with over 42,000 residents. However, it is the smallest “largest city” out of all 50 of the United States. Burlington was chartered in June 1763, but it wasn’t until the conclusion of the Revolutionary War that it became permanently settled. The first residents arrived in 1783, and the town was organized in 1785. It felt the effects of the War of 1812 strongly with 5,000 soldiers stationed within city limits, putting immense strain on the resources in the area. 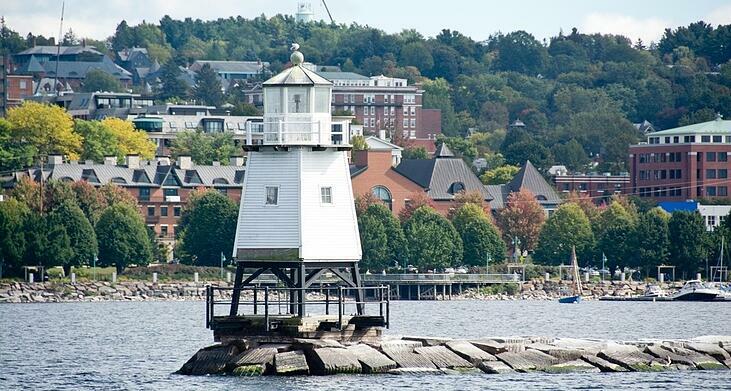 Burlington is a thriving college town, with a variety of cultural and educational opportunities. Three colleges have found their homes here: the University of Vermont, Burlington College, and Champlain College. Students from around the country flock here for the highly ranked medical school, flourishing theater and art scene, restaurants, and proximity to world class skiing. It has been ranked the #1 college town in American by Travel + Leisure magazine. The wide range of industry in and around the city gives students unique opportunities to gain experience in a variety of fields. Tech, energy, design, sports, environmental studies, and other industries all call the area home, giving rise to internships and other collaborations. Throughout the year, there are a variety of festivals that appeal to residents, students, and tourists alike. Here you can enjoy the Champlain Valley Folk Fest, Vermont Mozart Festival, an international film festival, and many others. For locals and tourists, the diverse range of recreational activities makes Burlington a favorite spot in Vermont for all seasons. Spring and summer offer a 9 miles of scenic bike and walking trails along the shores of the lake. Boating, hiking, and swimming are popular activities, while local parks provide ample opportunity for sports and other leisure activities. While many come to the area for the spectacular fall foliage, local maple syrup, and harvest events, the Lake Champlain valley comes alive in winter. With the Green Mountains nearby, skiing, snowboarding, and other winter activities are a main attraction. The skiing here is considered world-class, with a number of Olympians making Vermont their home. Nearby Stowe and Waterbury boast the highest peak in Vermont, topping off at 4,400 feet. On the opposite side of Lake Champlain lies Whiteface Mountain, home of two Olympic Winter Games. 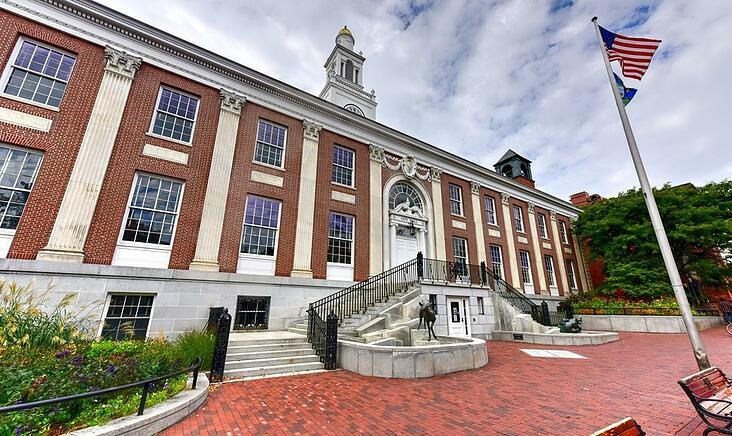 With so much to offer, it’s no wonder Burlington, Vermont consistently ranks as one of the top places in the United States to live, work, and learn. From respected higher learning institutions, world-class recreational events, a thriving art scene, and diverse industry, Burlington has it all.